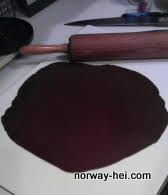 Have fun baking using a recipe all the way from Norway. 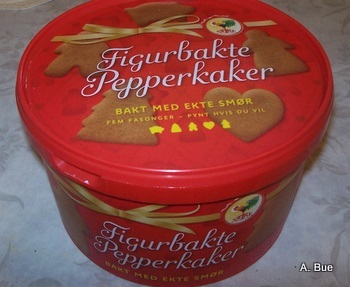 I am sure you figured out that this is the Norwegian version of Gingerbread Cookies. Sift together dry above ingredients. Mix butter and sugar until you have a light creamy texture and add egg, syrup and orange rind. Beat well. Stir in dry ingredients gradually until well blended. Cover and chill overnight. Dough will keep well in the fridge for 1 week so you don't have to bake it all at once. Divide dough into 3 or four parts and work with only one part of the dough at the time. Keep the rest in the refrigerator. It is easier to work with it when it is cold. If needed, put a light dusting of flour on the rolling pin and on the baking surface as needed. But don't be generous with the flour. Roll out on floured surface, one-third at a time, to 1/8" thickness. 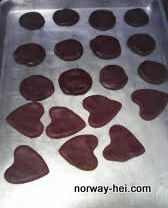 Cut into desired shapes with cookie cutters or pastry wheel. Place on greased baking sheets. Baked in moderate oven 350° F. for about 10 minutes or less or until light golden. 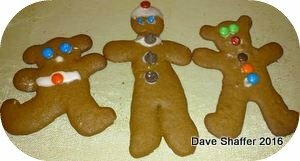 When I bake these cookies in my oven I need to really watch the baking time or my cookies will become too crisp. When completely cooled, the cookies can be decorated with colored powdered sugar glaze and stored in an airtight container with wax paper between the layers. Can be frozen. Mix confectioners sugar (melis) and water (very easy on the water). Add food color of choice. 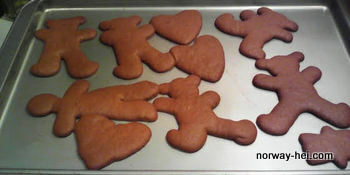 In Norway, these tasty Gingerbread Cookies, just like in the Unied States, are often made into fun shapes with favorite cookie cutters and even the little bakers of your family can try out their decorating skills.